Am I certain I really want to do this? Where do I get more information about schools? What schools should I apply for? How many choices do I have? Can somebody do this for me? Can’t answer some of these? Here’s some help in case you need it. A no-brainer is of course the almighty Internet. Once you decide the country and city you want to study in, use Google to learn about drama schools in that place. 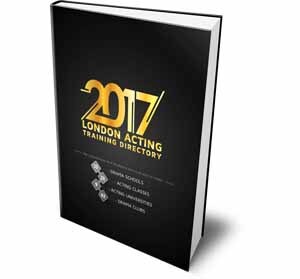 For different lists of various drama schools, try looking here, here and here. Before you do apply, make sure to visit as much of them as possible (if it’s possible). Also do not forget to download schools’ prospectuses, visit their websites and read reviews online. Learn what courses are taught in that particular school, and ask some questions. Who are the teachers? Is there any information on them? What feedback have other students left about that school? What degrees are being offered? What’s the structure of their theatre course? Have they produced any successful working alumnus? Another thing to consider is the place where this drama school is located. Research that town, see if you’re going to like living there for the next 3-4 years. While not being first on the list, it’s still an important factor. After you acquired all the necessary information available from schools themselves, it’s time to do a little more research of your own. Don’t choose a school based on what is being said in their prospectus or what you’ve read on their website — these schools invest a lot of money into marketing themselves. First thing you’re going to do is ask around. Teachers, current and previous students, community theatre representatives, youth theatre participants, other theatre/film/TV professionals that might seem to know something about training in drama schools. Social media has made this extremely easy to accomplish. Always take every advice with a grain of salt: you can never know whether they are trying to promote the school or have some grudge against it. Unfair judgement is not alien in this industry. Drama schools are only as good as their best tutors, so make sure you know who are teaching there and how good those people are. If they are truly amazing, there will most definitely be some positive words echoing in the depths of the Internet. Pay attention if the school is really trying to sell itself to you; this is never a good sign. Most great schools depend on the simple marketing strategy and a word of mouth. Most importantly, forget about famous actors promoting schools they have trained at — it’s very likely that teachers who trained current celebrities are not there any longer. You’ve seen our lists, right? Those are your best choices. In the UK, most drama schools are not part of the UCAS system, thus applying to drama school will be much simpler (from bureaucratic point of view). Same goes for the US drama schools. They all have their own application system, which means you can apply to as many as you want. Always use all of your options! Remember, 80% of your application’s success will depend on your audition (not on your previous experience, your personal statement or grades). Auditions cost a little bit of money. In the United Kingdom, most drama schools charge from £30 and up to £100 for a single audition. If you’re calculating your budget, don’t forget about travel and accommodation costs, too. This question really didn’t need its own paragraph. Applying to a drama school is simple. Get in touch with the school, get application forms, fill them out and then send them. That’s about it; all you have to do is wait for a response, work on your craft and be ready. The complicated part will be drama school auditions. Here’s hoping this question relates to the paperwork, not the auditioning. Yes, there are advisers and companies that offer future students their help to “make this process easier”. However, even though they are not scams, these companies or individuals should be your last resort. In fact, avoid them if possible! Reasons are the following: 1) the application process is not as complicated as it seems, 2) some of these individuals/companies don’t do the best work they can and might even mess up your chances of getting invited for an audition, 3) they cost quite a bit of money. This is important: even before applying to a drama school, make sure you have your audition monologues (possibly dances and songs, too) prepared and rehearsed well. 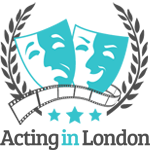 The reason being is that drama schools have their own individual application review and auditioning process, and you can be called in to audition on a very short notice. Other preparations you can do (aside from working on your monologues and songs on a daily basis) include a lot of reading and research. 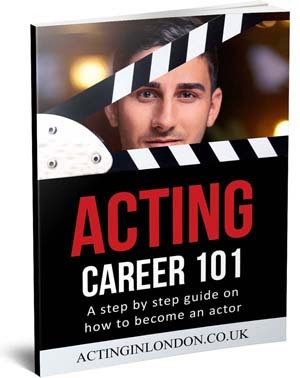 Try to focus on your future dream career even before applying to a drama school. 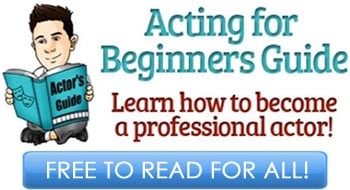 You will find Acting for Beginners Guide very helpful for tips about how this industry works and what is going to be expected from you. Visit websites like PlayBill, TheStage, Deadline Hollywood and others (depending on your location) on news about theater/film/TV industry. Aside from self-help books on acting or anything else you usually read, focus on reading plays. Get yourself a collection of Shakespeare works; read Beckett, Brecht, Miller, Coward, Ibsen, Wilde, Dickens, Williams, Mamet, Moliere, Bernard Shaw, Simon, Chekhov, Albee, Pinter, O’Neill, Marlowe and others. In addition, read some Greek tragedy: Aeschylus, Euripides, Sophocles and Aristophanes. Do your own research and find some less known playwrights so as to have some unusual material when you’ll need to perform. A tip: switch from watching films and television like a consumer to watching them as an actor. 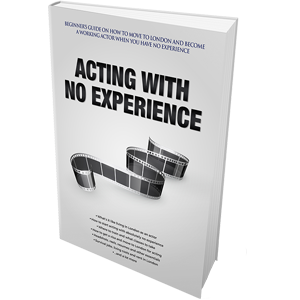 Examine how performers work and what choices they make. Never just sit around thinking that drama school will make the best actor out of you — drama school is there to help, but most of the work will have to be done by you. So get up and start doing things before even applying to drama school. Wow just been to an open day st UCB Barnsley where the x girl Holly is from. The course is called Acting for Touring Theatre degree at UCB. Though It’s newish its reputation is rocketing as it’s run like a theatre company and is full time full on. They call it the Electric Theatre Company. Such a cool course. Place is rad. Thing is though I need a really strong modern monologue has anybody got any ideas??? ?